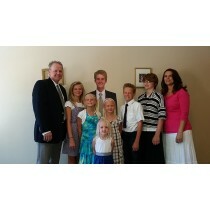 Remember your missionary with a lifesize wall graphic! These adhesive backed images stick to almost any surface! Easy to install, and fun to have! are either trademarks or service marks of HNG Ventures, LLC.